I am a Travel Consultant at Dimensions in Travel. 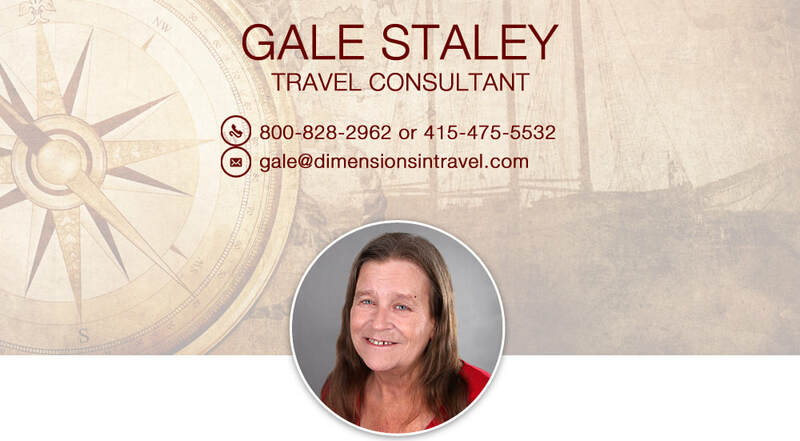 I have been a travel consultant for 22 years and have been with Dimensions in Travel for 10 of those years. I enjoy planning custom vacations around the world, with a special emphasis on Croatia, Ireland and Southeast Asia. 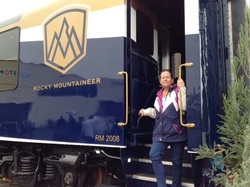 I am also an Alaska Destination Specialist and a Rail Europe Expert. I love working with unique specialty groups and creating destination family reunions. But the closest travel to my heart is cruising, both as a consultant and a traveler. I hold professional certifications from all the major cruises and some not so well known. Whatever your choice, ocean or river, let me be your source for an amazing experience. My favorite vacation spot is Home, which is a critical place for any traveler! I love sitting on my front porch on the outskirts of Petaluma, CA and imagining the rest of the world out there. "Our cruise was amazing. The Oasis exceeded all of my expectations. The boat was Massive. Never-ending-fun. Many of my family members said it was their best vacation ever. Renting the Solarium out [for a family dinner] was very special. We loved all aspects. And we couldn't have done it without your hand holding the whole way!" Dave S. (50 family members on a reunion cruise). "Our Rome tour guide [that you arranged] was fabulous, friendly, very informative and thorough. Tony and I would recommend her in a heartbeat. We got so much more out of the Vatican experience than we would have on our own. Time went much too quickly - as special times always do. We are still reliving our trip. So very incredible. Thanks for your help." Joan M.
Cruise vacations for specialty groups including Bridge and Pedro.